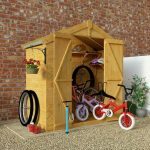 Securing your bikes in the garden used to be a matter of just leaving them lying around. 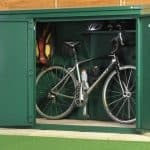 But this high security bike store changes all that. 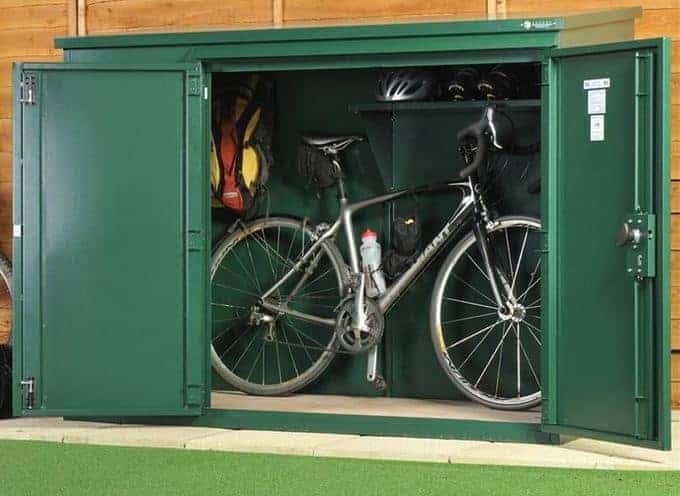 It has an incredibly strong five point locking system, and the system will ensure that your bikes are kept safe at all times. The strong metal construction also takes care of any weather problems that may crop up. 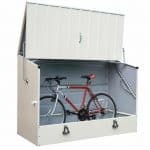 It has a vented roof so that your bikes are kept at the right temperature and basically allowed to breathe. This prevents condensation and other problems associated with lack of ventilation. 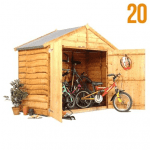 Double doors allow you to access your bikes quickly, so that your children, for example, don’t have to wait to have their fun.